SEM stands for search engine marketing. It was meant to encompass all facets of methods to be found in search engine results pages, often referred to as SERP’s in reports. As it evolved, it has been used more in recent years to only refer to the paid aspects of search engine marketing, or PPC. Google’s brand name for this is Adwords. You can learn more about What is PPC? here. Search engine marketing (SEM) actually encompasses local search, organic or natural search (SEO), and the paid version I mention above. It is a high-level phrase intended to cover the entire industry. If you are working directly with a PPC provider, they will often call themselves SEM specialists, and often at conferences or in educational webinars, etc. you will see it broken down into SEO, SEM, and local search. Though this is technically incorrect per even the highly reputable source, Danny Sullivan, linked to above, we still have to “go with the flow” and what phrasing many in the industry use. 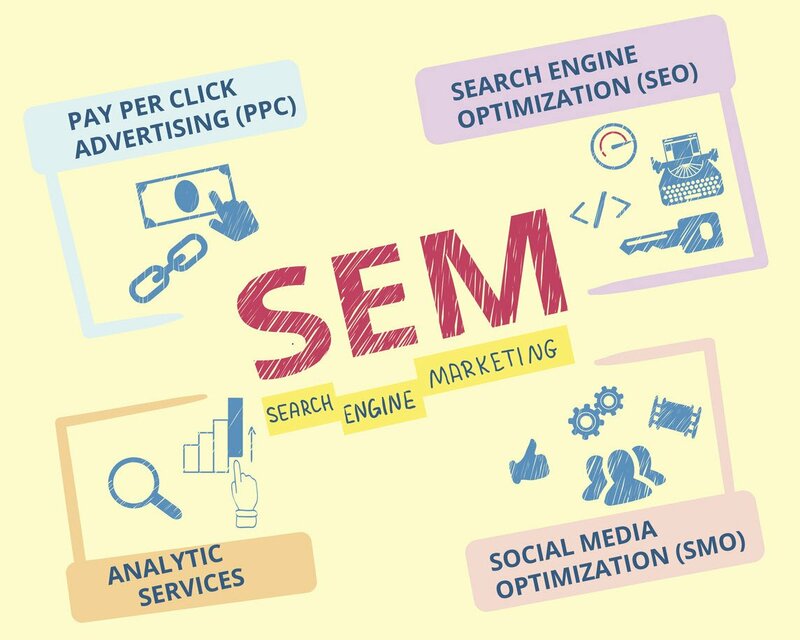 So be aware that someone talking about SEM may only be talking about the paid side, but it could be, and technically is meant to encompass the entire search engine marketing world.